Dawn Cappelli is Vice President, Global Security and Chief Information Security Officer at Rockwell Automation. Her team, Global and Information Security (G&IS), is responsible for protecting Rockwell Automation and its ecosystem of customers, suppliers, distributors, and partners from the ever-changing global threat landscape. G&IS serves as thought leaders and a center of excellence for global, integrated cyber and physical security. They use the NIST Cybersecurity Framework (CSF) to take a risk-based approach to develop and execute a series of strategic security frameworks in partnership with Information Technology, the Product Security Office, and a network of business and function liaisons from across the company. Frameworks include enterprise security, product security, manufacturing security, and services security. G&IS works with those partnerships to develop innovative, proactive strategies that balance security and productivity, with the goal of providing a best-in-class cyber and physical global security program aligned with the NIST CSF functions—Identify, Protect, Detect, Respond, Recover. Cappelli became CISO in 2016. 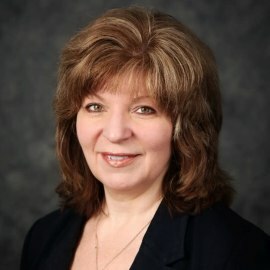 She came to Rockwell Automation in 2013 as Director, Insider Risk, and built the company’s Insider Risk Program to protect employees, customers, and partners from potential threats from individuals within the company or trusted third parties who might steal information, sabotage infrastructure or products, or violate physical security controls. Cappelli is a Certified Information Systems Security Professional (CISSP). She holds a BS in Computer Science and Mathematics from the University of Pittsburgh.